Avoiding Backyard Chicken Predators – How To Keep Your Chickens Safe. 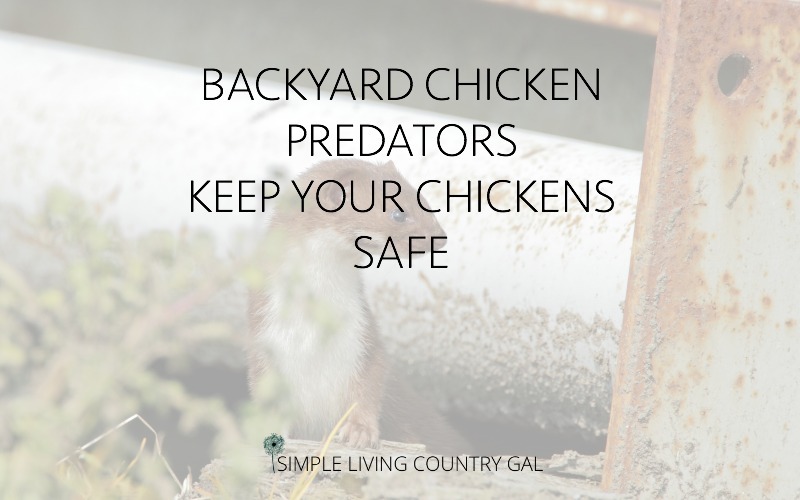 This post will walk you through just how to stop backyard chicken predators so you can keep your chickens safe. It was just another day here on the homestead. I was heading out to feed and water the chickens and I immediately noticed something was wrong. My hens were acting off, staying on the roost and not crowding the door as usual. As I looked around I saw one of my prized hens laying under the roost. I went over and saw she was dead. It was obvious she was killed by something inside of my henhouse. Something that did not belong in there. After 8 years of raising chickens, this was my first predator attack. How could I tell my beloved hen was killed by a predator? I could see by the condition of her body. When a predator such as a weasel, raccoon, or hawk kills a chicken they kill just to kill. If you find a decapitated hen, then you know right then and there you have a predator and you need to take action fast. Once an animal learns how to get into your hen house, I promise you they will be back. They will be back to take the eggs and to kill the chickens. 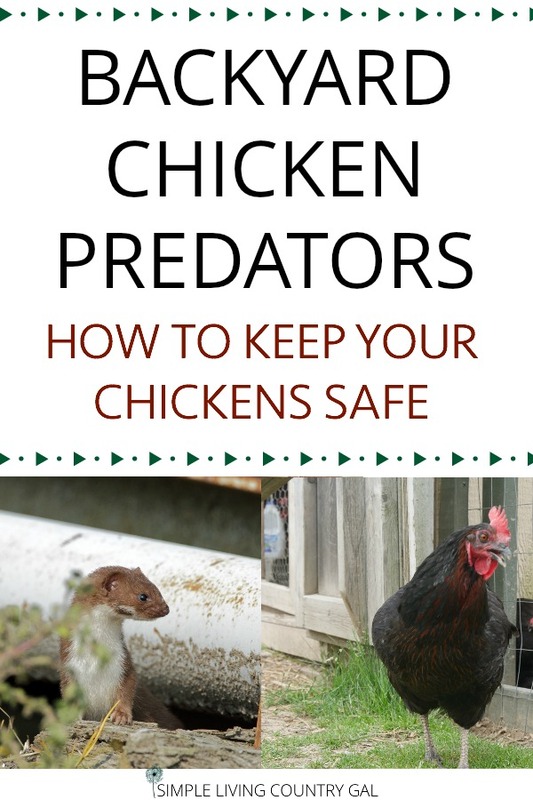 You need to work immediately and thoroughly to protect your backyard chickens from predators. Your animals depend on you to keep them safe and if you have a killing in your coop, don’t beat yourself up. Just take the necessary precautions so it does not happen again. With winter in full swing, animals are hungry. 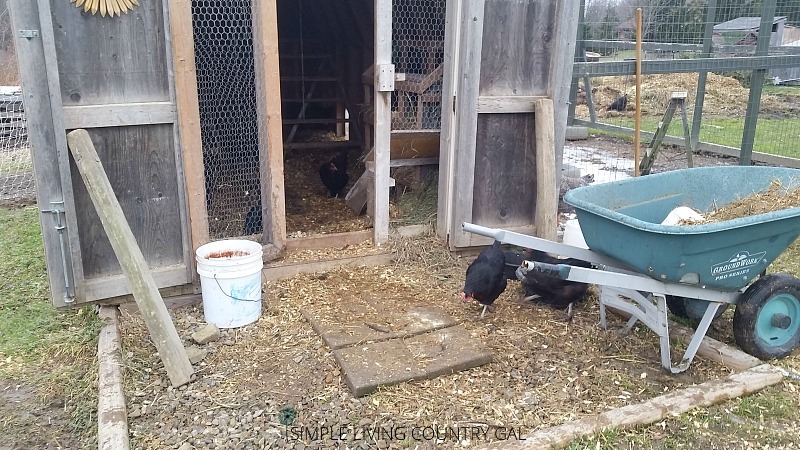 They are understandably drawn to food such as eggs, chicken feed, and kitchen scraps. 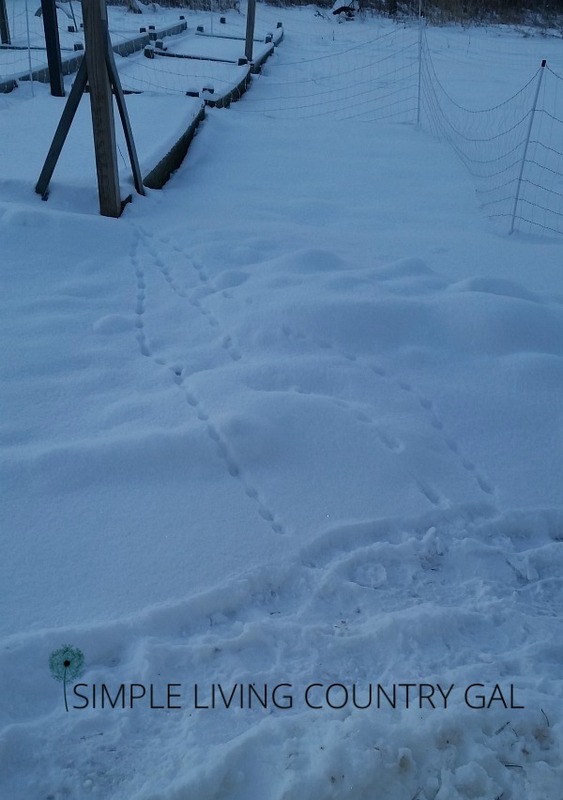 Watch for suspicious tracks in the snow leading from the coop. If you see any, you may want to take action immediately. Every corner. Be thorough and complete. You need to get all the bedding out so you can get a good look at the coop. Scrape, sweep, and shovel. 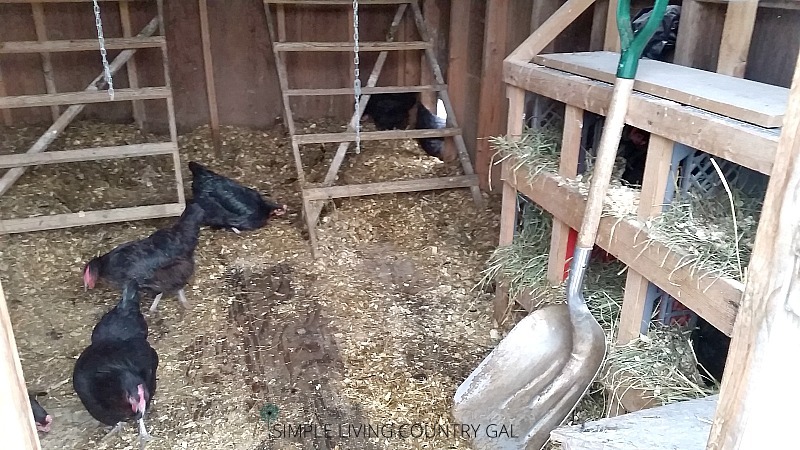 Remove every bit of bedding along with the nesting boxes. Move everything away from the walls. You would be amazed at the small size of the holes that a predator is able to get through if they are determined. Get every single thing out so you can see just exactly what you are dealing with. 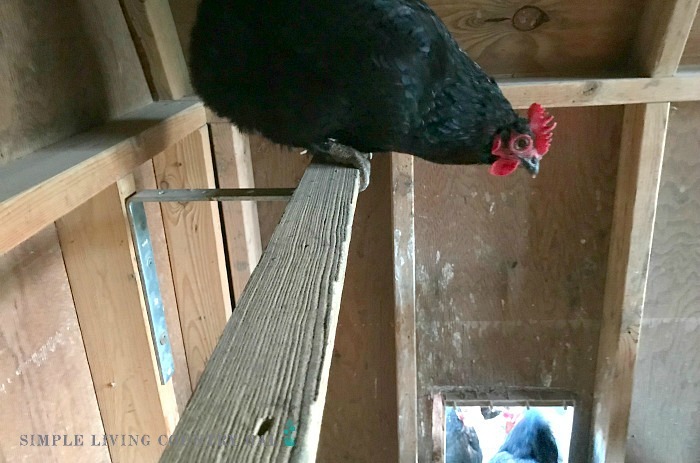 Once you have the inside of the chicken coop emptied and cleaned out take the time to do a good and thorough inspection. You will want to look everything over. The walls, the floor, the corners, the door. Everything. Get down on your knees and get busy. You may not be able to see an opening from a standing position. Use every viewpoint and look up and all around. Take as much time as you need until you find every point of access. As you find a crack, space, or hole that backyard chicken predators can gain access, mark them so you do not forget where they are. Once you are sure you have found all the gaps, cracks and holes you can begin to seal things up. Double and triple check that you found every opening. You will also want to check any fencing you use as well. Remember, it doesn’t have to look pretty, just be effective! Keep all of your animal’s feed, scratch, and treats inside of totes or metal cans with good tight-fitting lids. 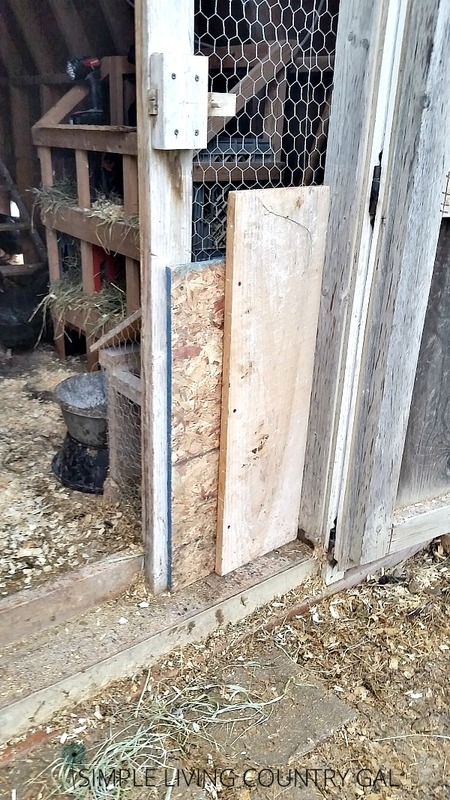 Go one step further and place a brick on the lid to prevent a chicken predator from gaining access. Do most of your feeding during daylight hours. Backyard chicken predators such as skunks, weasels, and raccoons come out mainly at night so make sure any heavy feeding is done early enough so your chickens are able to clean it all up before dusk. Make sure you have roosts up off the ground for your hens. This will not stop an attack but it will keep your hens safer if a predator is just there to steal eggs. Lock things up before dusk or earlier if you already have a predator problem. Since most backyard chicken predators are out at night, get a head start and put your hens on lockdown early. 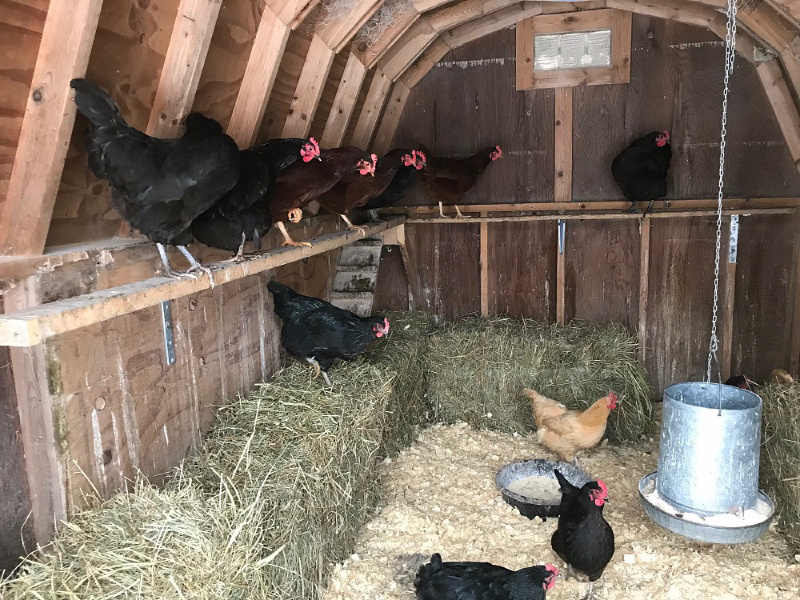 Each time you put your hens away give a quick “Chick-Chick” call and reward the flock with a sprinkle of scratch once back inside of the coop. As you do this routine your hens will associate that call and your voice with the treat and come running. This is a great tool to have on evenings that you might be running late and need to get your hens to safety fast. I just recently read about these small sensor lights and I have mine on order right now. I will keep you updated as to whether or not they work. I ordered 2 of these small lights. I plan to put one at the main door and one at the small chicken door that leads to the run. At this point, I will do anything and everything to keep my hens safe. If a small light scares off an attack, it is worth the money for me. Update: After purchasing two of these flashing lights I have not had another issue with a chicken predator, but I have had a visit from an Opossum so you may want to keep this in mind before investing in these sensor lights. You may need to take things one step further. Once a predator knows where the flock is and they have gotten the “taste” of your chickens, it may be difficult to stop them and you will have to remove the problem instead. We prefer to use live traps. The reason is poison runs the risk of killing our own animals. We have curious hens, cats, and goats on our homestead and there is no telling what they might accidentally get in to. I simply do not want to run the risk of hurting any of our animals while trying to stop a predator. 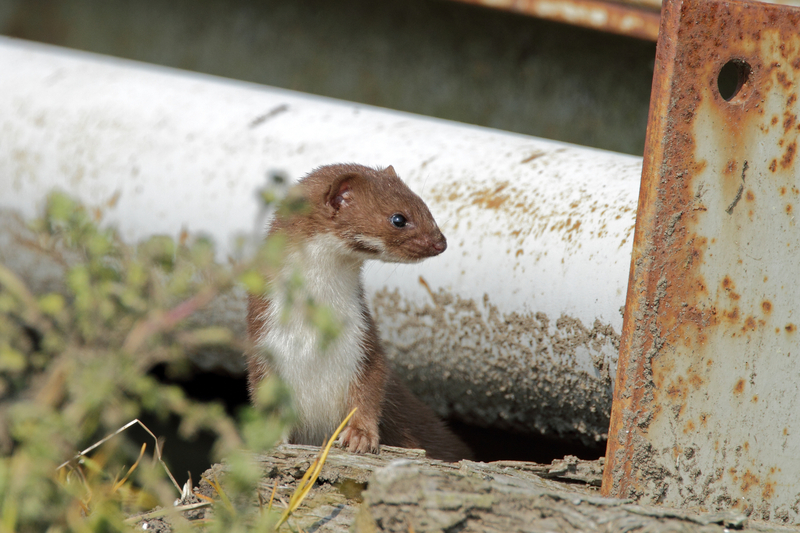 By using humane traps we can reduce the risk of harming the wrong animals. This is the trap that we use here. We put ours out only from dusk to dawn. This just ensures our pets are protected. Raising animals comes with a great deal of responsibility. Our animals rely on us for food, water, shelter, and yes protection. If you lose a chicken to an attack from backyard chicken predators, don’t beat yourself up. Follow these tips and do what you can to protect your animals and hopefully your girls will be happy and safe. Where we live the predators we deal with are weasels, raccoons, rabbits, dear, and other cats/dogs. For us dogs absolutely do help. In Texas, I am not that sure of the predators you have to deal with so a dog’s effectiveness will be different for you than it is for me. Sorry, I am not of more help! You may want to reach out and ask others in your area what their experience is. Thanks!! You have great info//format.